Highlight your special proposals. Focus customer attention on your best deals. Sell more items! 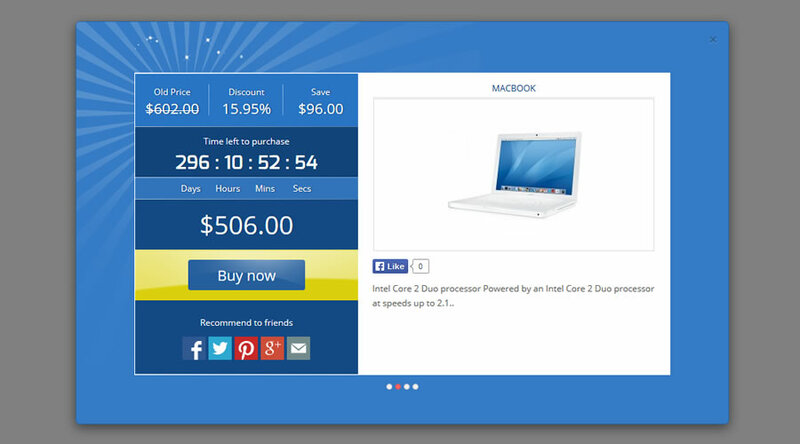 This module allows you to promote special offers, providing a countdown timer, image slider, deals slider. Also can be displayed inline or like popup. Most common answered questions about Special Deal (Groupon Style).